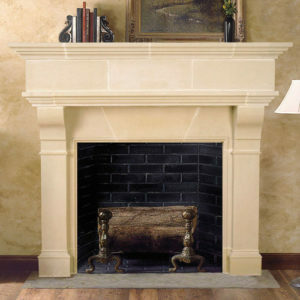 The French Country charm of the Amhurst fire place mantel is a functional design with classic transitional feel. Its clean lines and neutral coloring complement a diverse array of d̩cor and styles. Dress it up with an enhancing overmantel or dress it down to showcase its natural beauty. 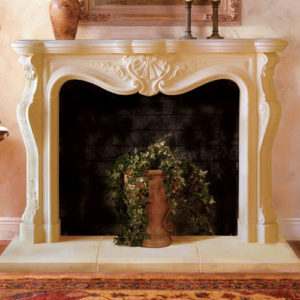 Either way, the Amhurst stone mantel will be the highlight of your room. 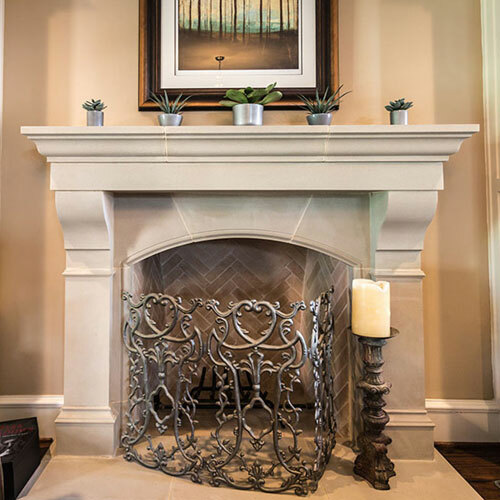 Please note that the pictured custom wrought iron doors are not included though our interior designers can help you figure out the best ways to customize your fireplace. We ordered an Amhurst mantel and had it installed in our home a few years back; you had built this for us. We really like the look it gives to the room and the burning of real wood is a plus. Thanks for a job well done.